Play our raffle today and help us to raise funds for the Harley Mission Rooms. We started our project of restoration at the end of 2017, to restore the Mission into a building shared by the church and the community. This was to give the elderly who were lonely and isolated somewhere to participate in activities, for the young ones we opened a youth club and are hoping to build on this with learning skills to support their education. We have plans to continue the improvements subject to funds from this raffle, donations and other fund raising activities. 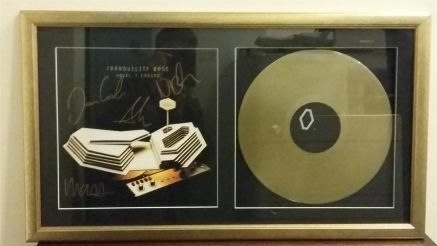 Thanks to the Arctic Monkeys we have been given a gold signed album, Tranquility Base Hotel & Casino, for us to raffle to help support our fundraising.